Many of us stumble upon PDF files very often. Sometimes we need to change the format of such files to make it more editable. Keeping that in mind Koolwire has created a free file conversion service online. 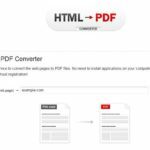 It’s more of a portable service for you because you can log on to the website anytime you like and convert PDF files. 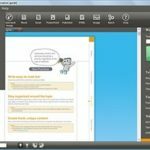 With Koolwire,Â you can turn your PDF files to DOC and have them emailed to you directly. The process is quiet simple. All you have to do is select destination file format including PDF, RTF, WAV and Mp3. Attach the file to convert and enter your email address. Once done, you will get a mail from KoolWire with a download link. Alternatively you can always email your files to [email protected] after attaching the file you wish to convert into PDF adns end it. As soon as its converted, the file will be sent and you will get notified via email. Note that these are the attachments allowed for PDF conversion: word (doc, docx), excel (xls, xlsx), powerpoint (ppt, pptx), Microsoft Visio (vsd), Microsoft Project (mpp), Rich Text Format (RTF), TXT, JPEG, GIF, PNG. If you don’t get any message in reply, make sure you check your antispam filter before sending a new request.